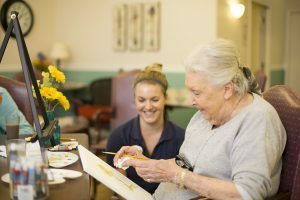 At Aegis of Kent, we have developed dedicated communities specifically for seniors with memory loss. 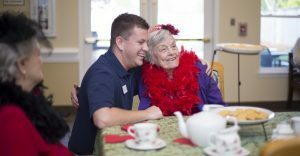 Our nationally recognized memory care program, Life’s Neighborhood ™, recreates the familiarity and comfort of yesteryear by surrounding residents with a nurturing environment reminiscent of home, family, and friends. Our groundbreaking designs and nostalgic surroundings evoke happy memories for our memory care residents. We provide our residents with top-of-the-line care, so you can rest easy knowing your loved one is being taken care of by the best memory care specialists. 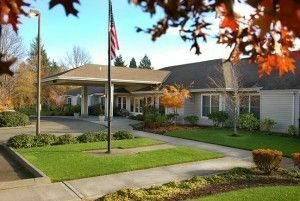 At our Kent community, we provide your loved one with the highest-quality care to ensure all their needs are met. Our goal at Aegis of Kent is to give you and your family the peace of mind that your loved one is well cared for, safe, and supported. Our around-the-clock care staff will care for your family member with dignity and compassion. With over twenty years of experience, we can handle the many phases of memory loss as their disease progresses.